Follow one family of rabbits as they do all their favorite things in this sweet, poetic story from award-winning author Douglas Florian, now in board book format! The habits of rabbits are many, not few, with plenty of things that they love to do! 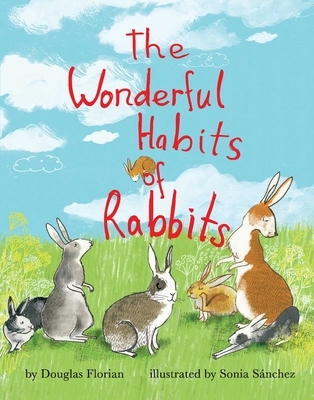 This lyrical story now follows a family of rabbits throughout the seasons as they have fun doing everyday things like digging holes, building snow rabbits, thumping their feet, and more. And at the end of the day, when it's time to say "goodnight," there is one habit of rabbits that's not to be missed. . . .
Douglas Florian is the award-winning author/illustrator of numerous children's books including Donthesaurus, a Kirkus Reviews Best Book of the Year; Bow Wow Meow Meow, a Parents magazine Best Book of the Year.He is also a fine artist and former cartoonist for the New Yorker. He lives in Long Island, New York.